The Apiary was designed and constructed for Coppice by Andrew Furse. The Apiary is a double-feeder, double bellows free-reed aerophone. 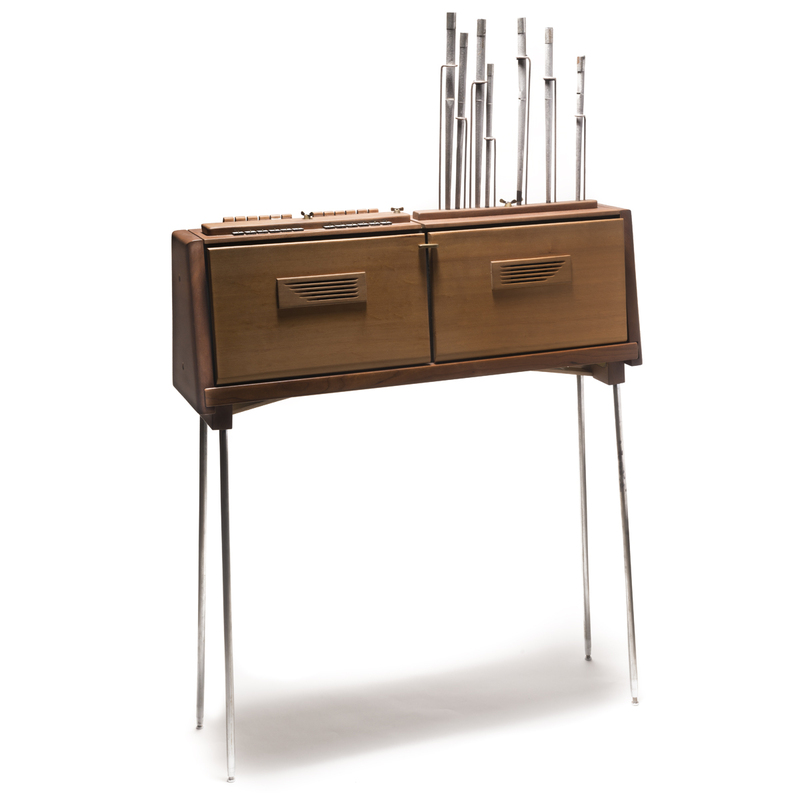 It contains two independent/identical air reservoirs with interchangeable reed-board tops. Sounds are obtained by opening small wooden slides that cover holes directly above block-mounted reeds. The feeder bellows are hand pumped and fill opposing wedge-shaped reservoirs pressurized by spring force. The air chest constitutes a near entirety of the instrument where all bellows and reed-boards are mounted. Folding legs allow the Apiary to be easily transported and played either sitting or standing.